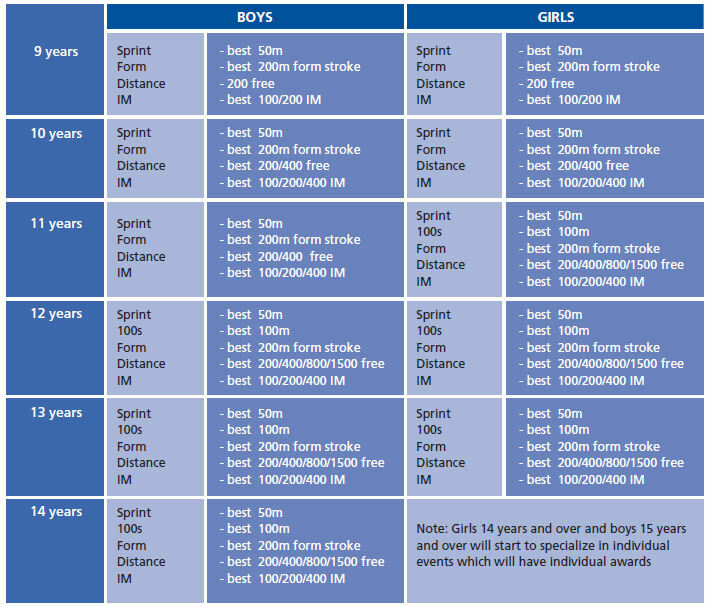 It is therefore advisable to enter every category in the Age groups if you can achieve the qualifying times. 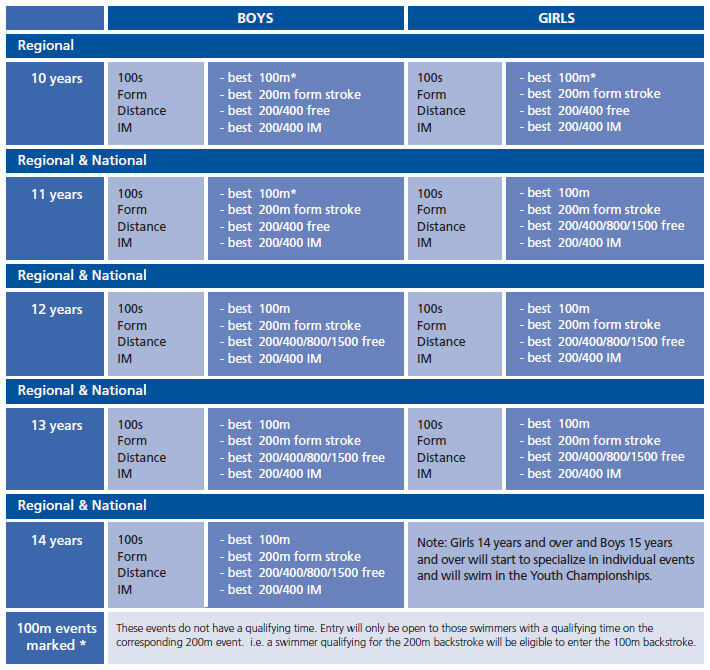 (NB, Boys 12 and below and Girls 11 and below do not swim the 100m individual events). The detailed categories are below.